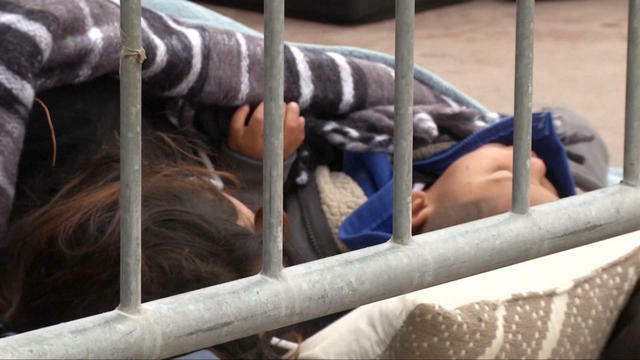 Two-thirds of Americans oppose the Trump administration policy of separating immigrant children from their families when they cross the border illegally, according to a new Quinnipiac University poll released Monday. A majority of Republican voters support separating these families (55 percent) -- this was the sole grouping of poll respondents to support the policy. Every other demographic included in the polling -- political party, gender, education, age or racial group-- opposes the policy. Americans also overwhelmingly (79 percent) agree that "Dreamers," the children of immigrants brought to the United States at a young age, should be allowed to remain in the country and ultimately be able to apply for citizenship. Historically, according to Quinnipiac, the support for Dreamers has remained high -- in the 77 to 81 percent range throughout the year. In this same vein, 67 percent of those polled believe illegal immigrants currently residing in the country should be allowed to stay and eventually apply for citizenship while 19 percent say they should be forced to leave. Republicans and white voters with no college degree are the only groups that support building a wall along the U.S.-Mexico border as a means of curbing illegal immigration. Meanwhile, 58 percent of American voters disagree with the idea that a wall would stem the flow of illegal immigrants across the border.